I am a Rokos Junior Research Fellow in Development Economics at Pembroke College, University of Oxford. 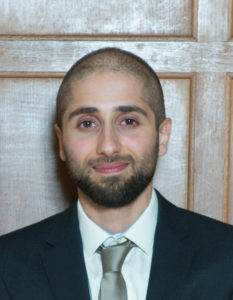 I am also a research fellow at the Oxford Centre for Islamic Studies. I recently finished my DPhil (PhD) in Economics at St. John’s College, University of Oxford. In my research I am interested in the effect of equity-like financial contracts, which involve profit and loss sharing and / or shared asset ownership, on the investment and growth of microenterprises in developing countries. Prior to academia, I worked for five years in the financial markets, for Bank of America in London and Deutsche Bank in Singapore, where I traded government bonds, fixed-income products and foreign exchange derivatives. I have also previously completed postgraduate degrees in Finance (MSc, London School of Economics), Economics (PGDip, Cambridge), and Economics for Development (MSc, Oxford). Microequity for Microenterprises: Evidence from an Artefactual Field Experiment and Survey in Pakistan ICG Grant. Asset-based, Shared-ownership Microfinance Contracts: A Field Experiment in Pakistan (with Faisal Bari, Kashif Malik, and Simon Quinn) IPA Financial Inclusion Program Grant, PEDL Exploratory Research Grant. Microequity for Microenterprises: A Field Experiment in Kenya (with Marcel Fafchamps, Colin Mayer, Simon Quinn, and Kate Roll) Mars Catalyst, Mutuality in Business Program. Skin in the Game: Microequity and Mentorship for Online Freelancers in Bangladesh (with Mehrab Bakhtiar, Simon Quinn, and Abu Shonchoy) PEDL Exploratory Research Grant. Microequity for Microenterprises: Demand for Venture Capital‐like Funding in Indonesia (with Simon Quinn and Russell Toth) JPAL exploratory study.